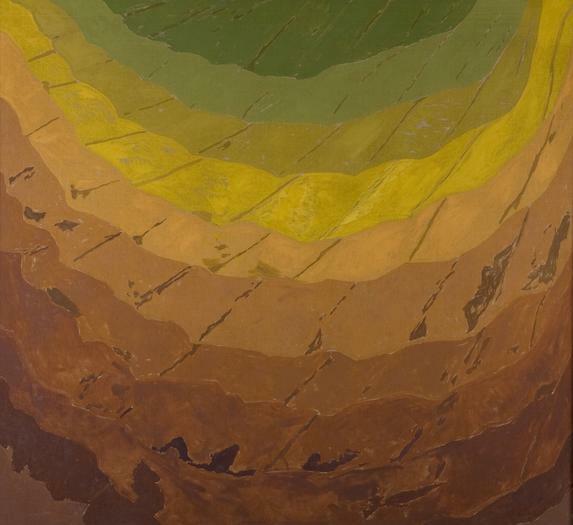 DRISCOLL BABCOCK GALLERIES is pleased to present ALAN GUSSOW: RIME TIME. Now, more than ever, the natural world is under duress. Alan Gussow’s inspiring artistry celebrates our natural world; through his paintings, pastels, and watercolors, he sought to bring widespread attention to the splendor and minutiae of our environment. Gussow’s views on nature are as pertinent today as they were 60 years ago when he emerged as an activist artist, spreading the message of environmental stewardship across the country and around the world. In a career that spanned nearly fifty years, Gussow achieved significant recognition. His unique imagery adroitly captured the intimate link between man and the environment, invoking his personal encounters with the smells, sounds, tastes, and sensations of nature. His work is infused with deep cultural and environmental insights, rooted in a beautifully refined aesthetic, and a visual celebration of the places he explored and experienced passionately. As his engagement with environmentalism grew, Gussow used landscape painting to enhance our focus towards the earth and our experiences with nature. This exhibition presents several of his most emphatic elemental paintings that translate his experience of the natural world, in all its energy and vitality. RIME TIME, for instance, is that singular dazzling phenomenon of winter vapor freezing on just one side of trees, plant leaves, and even windows, upon impact. This cold-weather anomaly, witnessed by so many but rarely known by name, was a metaphor for Gussow’s often lyrical and always articulate paintings of the natural world he revered. An avid lifelong environmental activist, Gussow played an integral role in preventing Con Edison’s proposal to level Storm King Mountain to build a power plant. He was an advisor to Senators Robert F. Kennedy and George McGovern on key environmental issues, served on the Board of Directors of the Friends of the Earth, and had a strong national presence, serving as an expert witness on environmental conservation issues before Congress and several legislative committees. His many written works consider the role of art and nature and include the books A Sense of Place: The Artist and the American Landscape and The Artist as Native: Reinventing Regionalism. Gussow conceived of and inaugurated the National Park Service Artist in Residence program and served as their Consultant in the Arts. 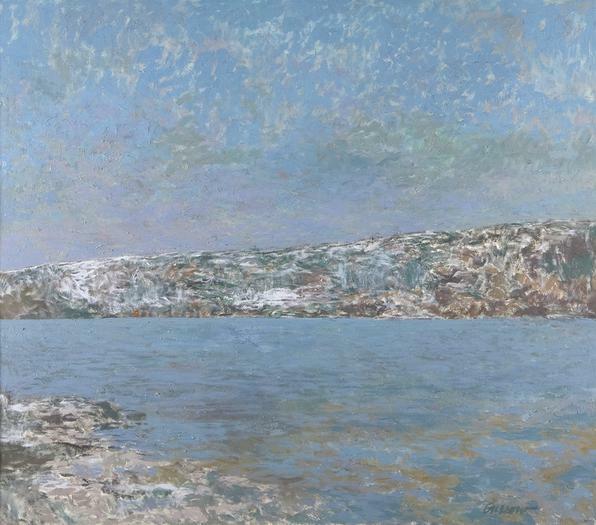 It is through these efforts and in his inimitable paintings, pastels, and watercolors, that his legacy lives on as a brilliant artist sustained and inspired by nature. 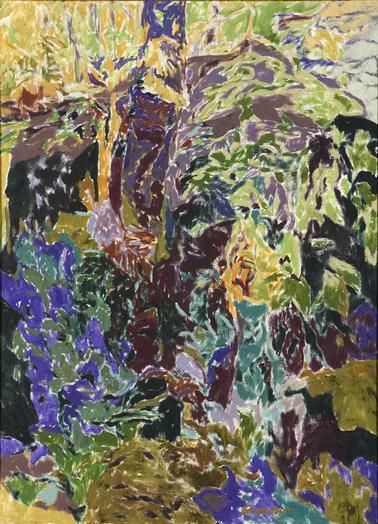 Driscoll Babcock Galleries has represented the work of Alan Gussow since 2001. The gallery has staged four previous solo exhibitions of his work: Alan Gussow: Cold Elation (2015), Alan Gussow: Interrupted Spring (2012), Alan Gussow: A Painter’s Nature (2009) and Alan Gussow: Oils (2006). Additionally, Gussow’s work has been the subject of numerous solo museum exhibitions, including the Corcoran Gallery of Art, Washington, D.C.; The National Arts Club, New York; Flint Institute of Arts, MI; Arkansas Art Center, Little Rock, AK; Mississippi Museum of Art, Jackson, MS; and the Portland Museum of Art, Portland, ME.